Hello everyone! 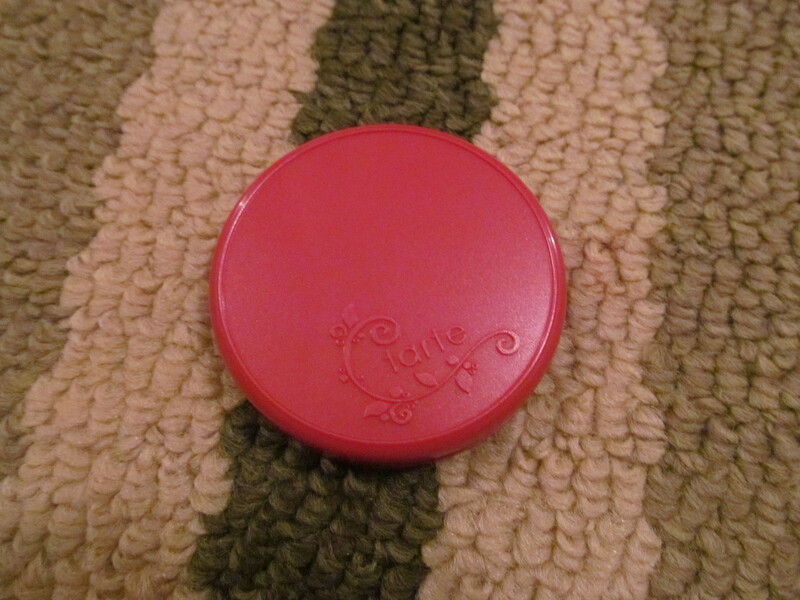 A Tarte blush review today I only have two of Tarte’s blushes and would love to get more but they are pretty pricey in Canada. Anyways, onto the review! 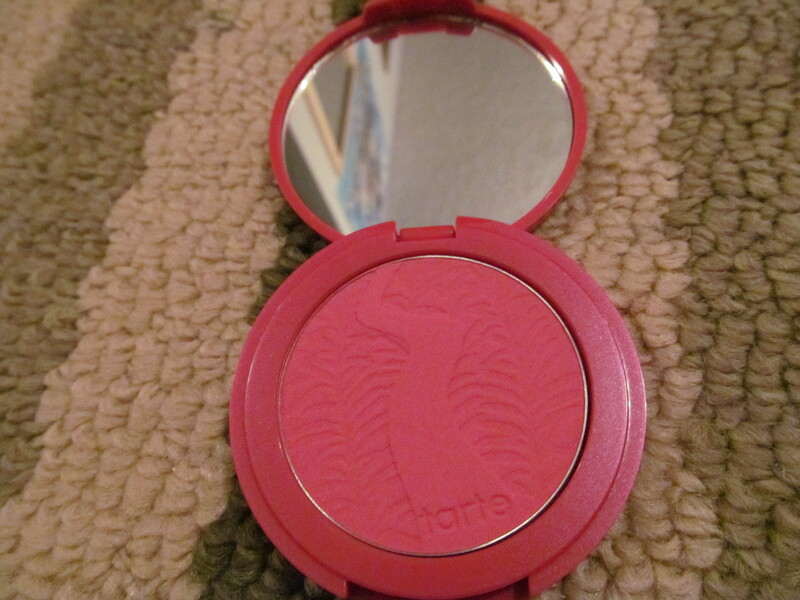 My apologizes for the upside-down photo of the back of the blush. 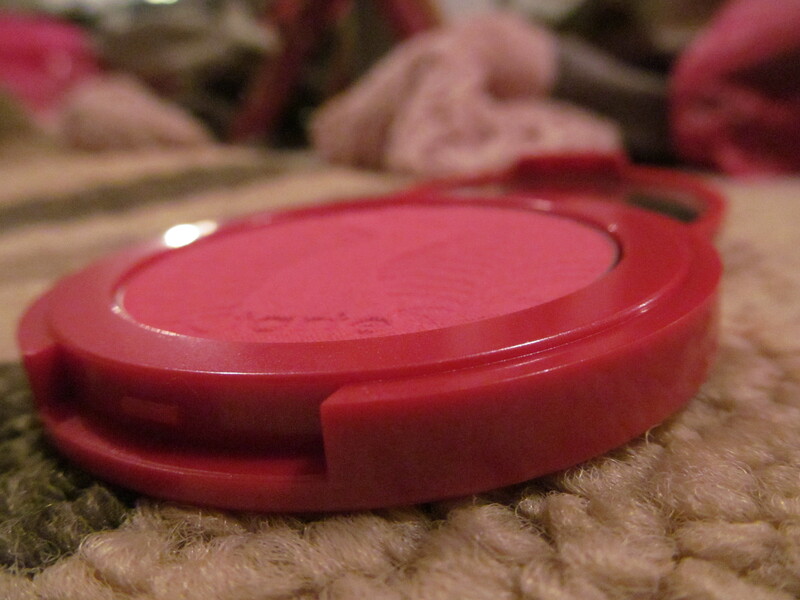 Description: A reddened pink matte blush. Able to withstand 12-hours wear and has oil-controlling properties due to the Amazonian clay used. 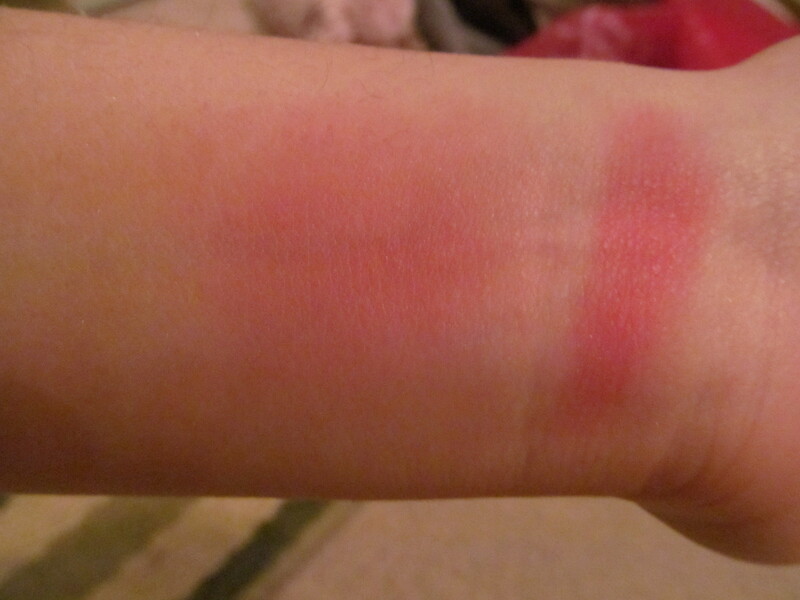 Review: I must mention that I don’t own a blush this shade and was extremely excited to try this out. The formula is dense but a brush picks up color easily. 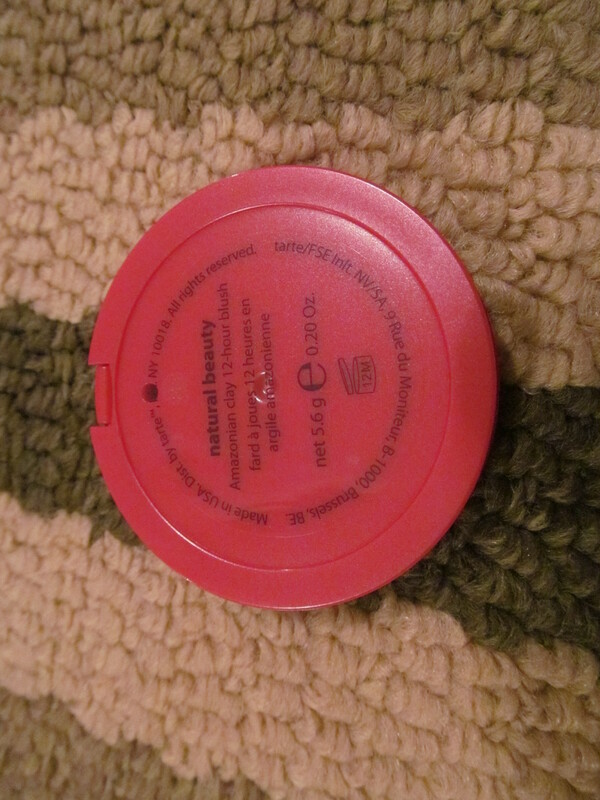 It is extremely pigmented so having a light hand on this product is recommended. There was no discernable scent to the blush. As for wear time it actually varied with the base products that I used. If I used a matte foundation then it stuck around for 10 hours but if I wore a dewy foundation or tinted moisturizer it only lasted 8 hours. Trivial as wear time and fading isn’t really a point that I care about but it was pretty good for lasting power. I feel for girls whose skin is oilier might find that this lasts only abotu 8 hours but that’s still very good for a blush. The outside packaging matches what the inside looks like which is pretty easy to figure out which blush shade it is which is a bonus when you have all similar packaging and can’t tell what blush you’ve picked out. Would I recommend this product? I totally would these blushes are awesome and would love to pick up more.